I think having a checklist is a good thing! 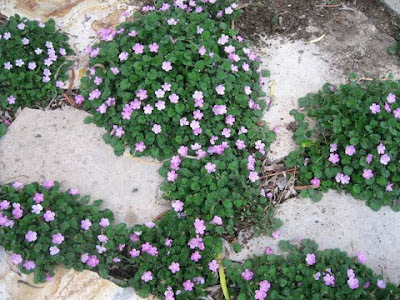 First let’s talk about what a ground cover is, a ground cover is generally a low growing plant that spread fairly quickly to form a dense cover for your soil. 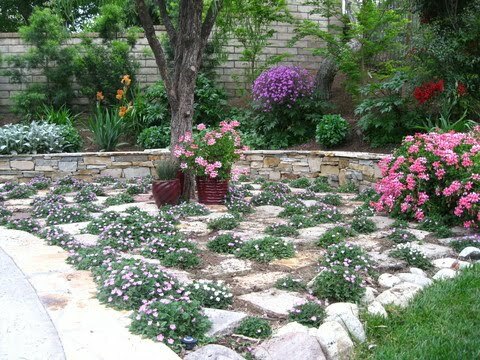 Ground covers prevent erosion, compete well with other plants because they are not greedy feeders, and add a beautiful finishing touch to your garden. 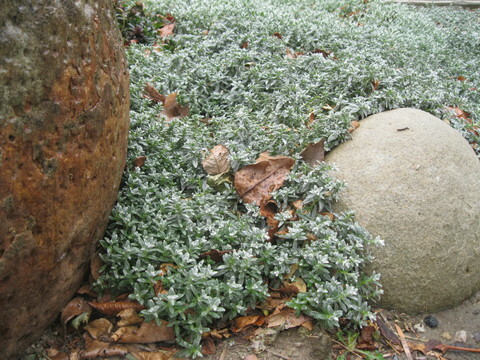 Most ground cover cannot be regularly walked on (like grass) but some can take light foot traffic. Here is a list of things you should consider before making your final ground cover selection. Some of the situations you might utilize ground cover for are, extremely dry or extremely wet locations, steep banks or slopes (especially if they are not terraced), low planting in mixed borders or beds, between stepping stones, shady areas where grass will not grow. After finding the ground cover that best suites the criteria listed above, you can move on to the one that best suits your aesthetic needs. 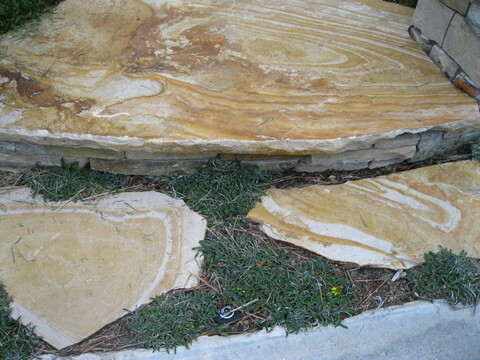 It should blend with the surroundings of your garden, and help unify your design style. Planting a super durable low water ground cover in an English Cottage garden would look out of place, so think about your style and let it add to your flow. When planting your ground cover, think about it as a carpet you have to prep the entire floor (or bed in this case) not just the little areas you are putting your plants in. 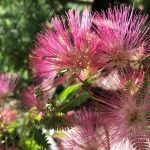 These plants spread, so you want them to be able to benefit from your addition of soil amendments and organic matter throughout. Make sure to water well the first few weeks of establishment, and cut back to the required amount of water once they have taken hold. In California ground covers establish best in March and October, but can be planted pretty much anytime except in excessive heat. When it is too hot and dry, you will be wasting water and forcing your poor ground cover to work overtime. 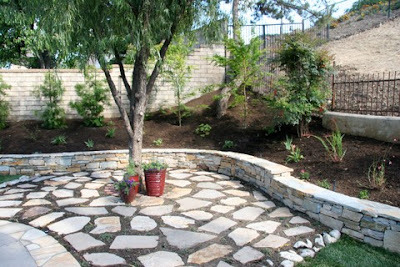 So, if you plant a landscape in late August in Santa Clarita… wait till October to add your ground cover, you and your ground cover will be much happier in the end. Please join me online on Thursday May 24, 2012 – 3:30 PDT. I will be appearing on, Artists, Designers, and Things O My! The show is all about, people who are passionate about what they do and who can share their experiences on where they are today. Artists, Designers, Architects, Painters, Actors, and others. Please join us live or listen to it in archive! Here is a link to the show.